Vacations for women to Rome, Paris – Provence, Tuscany, Amalfi Coast, Rome – Florence – Venice, Tuscany & Umbria, and more. 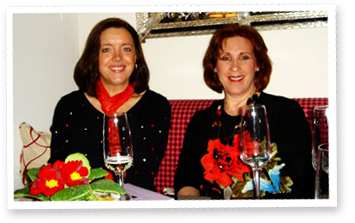 Well Arranged Travel designs upscale small group tours for women and luxury vacations for women to Italy and France. Inquire about their escorted tours for women only to Italy and France. Small escorted tours and vacations for women designed by high-end tour operator specialized in upscale and luxury travel to France and Italy. Ready to travel and no one to go with? Our France and Italy vacations for women were conceived for this very reason. Perhaps one of our France & Italy women-only tours to Tuscany, Italy or a women’s trips to Paris and Provence in France is just what you need. Well Arranged Travel designs upscale and luxury small group tours and private group vacations to Italy and France with some as women only trips. Whether you are single, a divorced woman, retiree, busy mother or professional… seeking fun, a little adventure and time off to refresh, our upscale or luxury women’s tours to Italy and France may be in order. Our France and Italy women’s vacations or women’s tours are designed by a passionate, experienced woman traveler who understands the importance of safety and comfort. 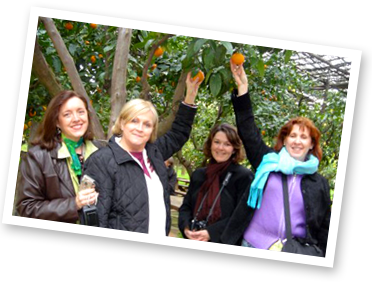 The group tour offerings provide women travelers a sense of freedom, companionship and opportunities to make new friends. Well Arranged Travel specializes in luxury custom private vacations and offer only a few group tours yearly. Peruse our Tours section for more information. “My sister and I are back in Michigan, and just wanted to let you know what a great time we had. We really enjoyed our last two days in Venice. We followed your advice to “get lost” and discovered some wonderful neighborhoods. “I want to say thank you for a great women’s trip to Rome and the Amalfi Coast. The trip was thoroughly planned. The hotels were fabulous and the food even more fabulous! I was a little nervous about going on your women’s trip by myself but you made it so comfortable for me by sending me helpful hints on how to prepare for the trip. I did everything you told me to do and I didn’t need a thing when I got to Italy. The women in the group were so nice; it was like we had been friends for a long time. The only time I was alone was when I wanted to. We mostly did things as a group even if it was on our free time. This was good for me, as I didn’t want to do things by myself. You were always there for us. The tours you planned were to the most exciting places and were very informative. Your people were also great. Our tours were always done with professionals who never hurried through with their information. The guides were knowledgeable and very informative. Our drivers were always on time and treated us like royalty. You put me at ease on our first meeting in Rome. I had the best time. Everyone thought I was nuts to go on a tour by myself but now that I have come home and told them about my experience, they are jealous! Your promised I would have a great time and you lived up to your promise. Thank you! I am now planning on a fall trip with you”. – Marilyn Bolt, Ohio; Paris Tour, Fall Escape to Italy, Rome & The Amalfi Coast Tour – Women-Only Tours & Best of Tuscany & Umbria -Open to All.